The pattern acutally said for size 26 but fits a 30 so as I needed a 30 I went ahead & did it. Wow it is so very very pretty, beautiful color. I'm sure your DGD will look so pretty in this lovely jacket. 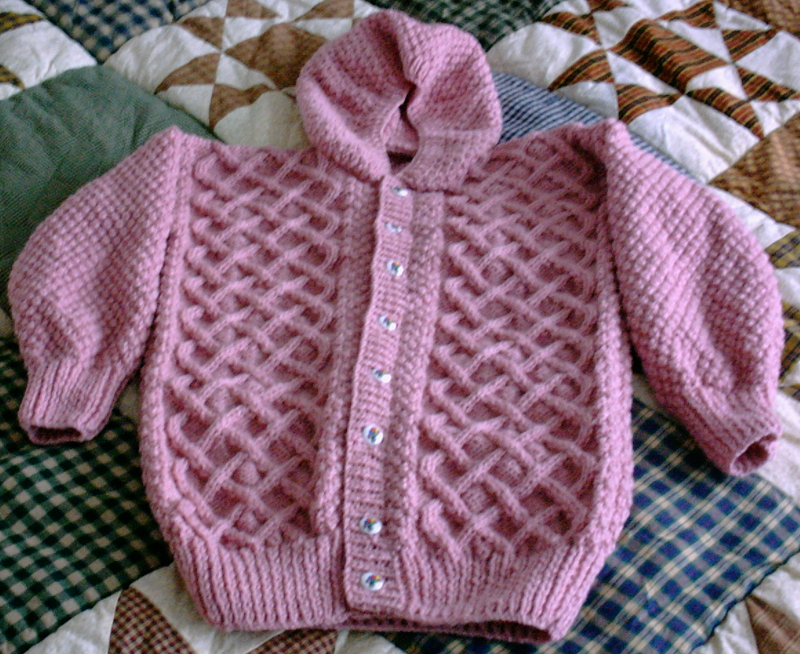 I used to love doing the different Aran patterns when I used to hand knit Janice. Wish I could still do it.